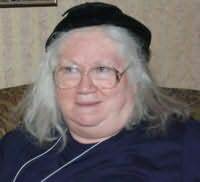 Anne Wingate, born in 1943 as Martha Anne Guice, is a mystery writer currently living in Salt Lake City, Utah. Most of her mysteries are set somewhere within Texas. She is an adult convert to The Church of Jesus Christ of Latter-day Saints, and this sometimes shows in her works. She grew up in the Disciples of Christ Church.